On my previous Start with a Sketch post, I said I'd be back shortly with another video...and nearly 3 months later, here I am. Not sure quite what happened except I got a bit busy but with nothing in particular, so apologies for such a long break and I'll try not to be so long next time. This sketch contains three small landscape photos, around 2x3". 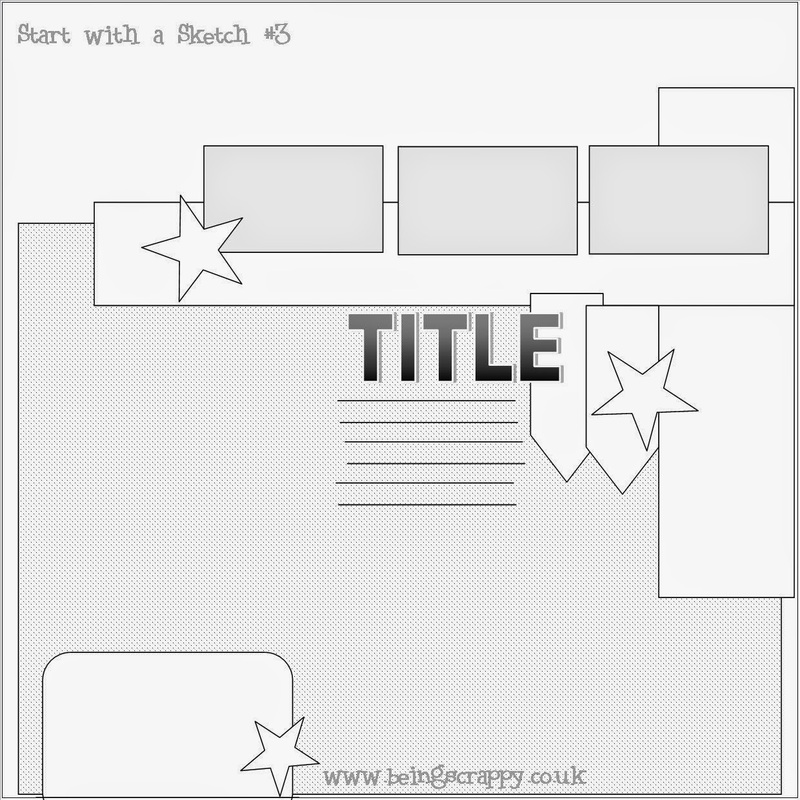 I originally envisaged a plain-ish background with a busy paper in the bottom section i.e. so that a lot of it would be on show. My layout didn't quite turn out like that though and I went the opposite way around. I also ended up moving my journaling to the card in the bottom left corner rather than underneath the title, mainly because my title was so huge that it took up all my jounaling space, and the bottom left corner seemed like a sensible place for it.